This report discusses the need for an integrated and cyclical approach to managing health technology in order to mitigate clinical and financial risks, and ensure acceptable value for money. The analysis considers how health systems and policy makers should adapt in terms of development, assessment and uptake of health technologies. The first chapter provides an examination of adoption and impact of medical technology in the past and how health systems are preparing for continuation of such trends in the future. Subsequent chapters examine the need to balance innovation, value, and access for pharmaceuticals and medical devices, respectively, followed by a consideration of their combined promise in the area of precision medicine. The final chapter examines how health systems can make better use of health data and digital technologies. The report focuses on opportunities linked to new and emerging technologies as well as current challenges faced by policy makers, and suggests a new governance framework to address these challenges. À lire également : Les nouvelles technologies de santé - Synthèse. 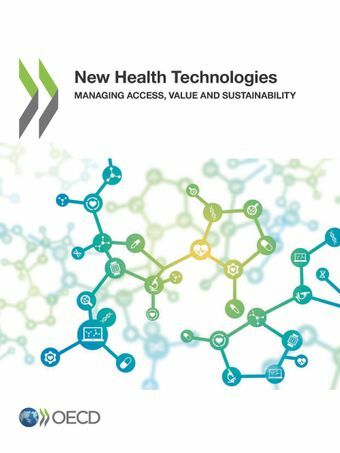 Ce document est une traduction en français du chapitre 1 du rapport New Health Technologies: Managing Access, Value and Sustainability, publié exclusivement en anglais.